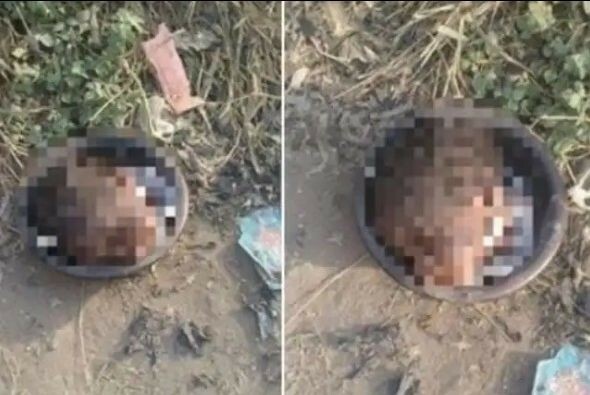 The gruesome sight was found on Tuesday by passersby and residents in the area who claimed that the baby was a victim of ritual killing. It was learnt that the hairy head of the baby was found inside a black pot with bloodstains around it. A resident, Kabiru Anifowoshe, told Punch that he was going to work around 8 am when he saw a large crowd at the spot. The Lagos State Police Public Relations Officer, SP Chike Oti, confirming the incident said the head had been deposited at the Mainland General Hospital morgue, Yaba, for autopsy. He said, “The scene was photographed while the head was removed and deposited in the morgue for autopsy.